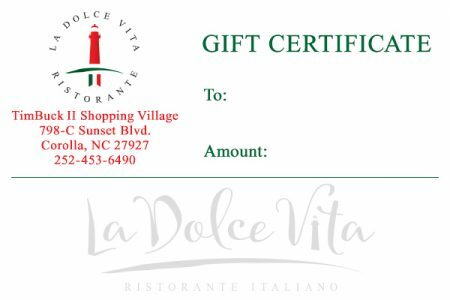 Buy a gift certificate for La Dolce Vita! 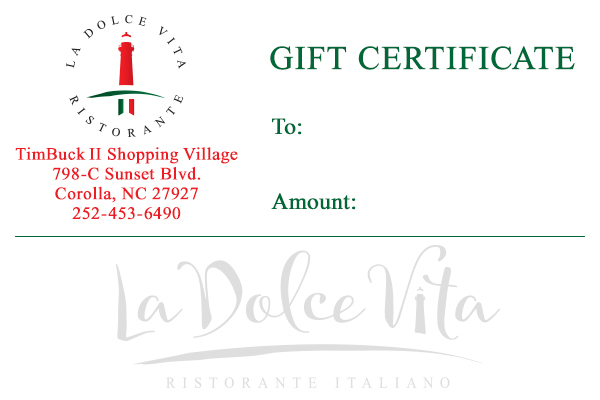 Gift Certificates are delivered via email to your recipient. There is a printable PDF of the Gift Certificate attached to the email so the recipient can print it out or show the email receipt from your smart phone.